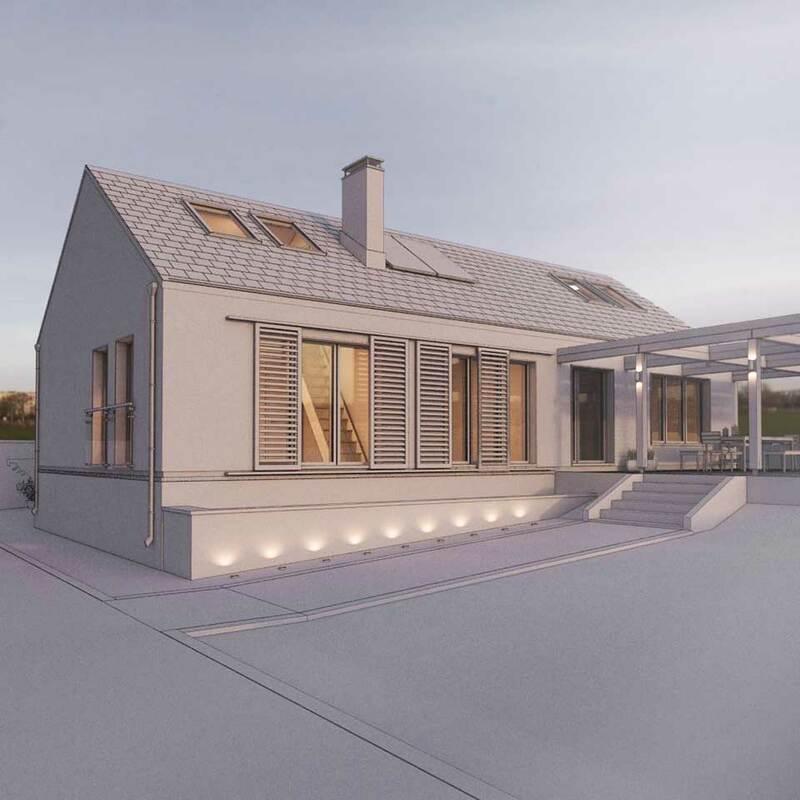 The project involves the redesign and refurbishment of an existing bungalow. The house is located on Summerville Avenue in Waterford City. Our clients bought the building attracted by an excellent location and beautiful, spacious back garden, but were not happy with the internal layout. Quantity had been favoured when designing the rooms (they were numerous, but small) and the corridors were narrow and dark, giving the house a cramped, gloomy feeling. The design approach we took was to deliver a more open plan, spacious layout and reduce unnecessary circulation around the house. We also sought a visual renovation, improving the residents’ emotional connection with the house. Within few months, the building was transformed. A new open plan living/dining space, new doors and bigger contemporary windows make maximum use of daylight, while infusing the home with energy and light. Using modern materials like Alu-clad windows and fibre cement boards, we achieved contemporary look to this traditional building form. The build priorises energy efficiency, installing a new boiler to help make the home sustainable, warm and efficient.